The emergency room is often a busy place, filled to the brim with the sick and the injured. The doctors and nurses in these units work under an unimaginable amount of stress, and in some situations, this can have an impact on patient safety. 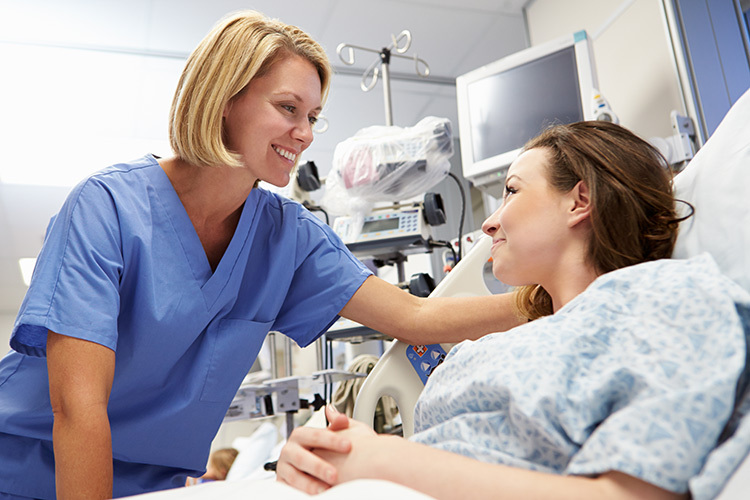 Implementing certain procedures and guidelines, and in some cases even improving upon existing protocols, can greatly influence overall patient safety and allow hospitals to provide even better care. For most patients, emergency room care begins in one of two ways. Some come in via an ambulance, and they receive their triage on the way. Doctors and nurses know what to expect when that patient arrives at the facility. Others come in to the ER on their own, and they might spend hours in the waiting room. A quality emergency room must triage their patients according to the severity of their illnesses and injuries, and patients that are more critical receive faster care. Unfortunately, since the triage process is often very quick, doctors and nurses miss things that are not immediately evident. Better patient care, then, starts with triage. Implementing or improving this process can save lives. The ER is full of a variety of cases. One man may come in to get stitches in his arm, while a stressed and worried mother brings in her two-year-old with chicken pox. At the same time, another parent may have his child in the ER for dehydration, and an elderly patient may be waiting to get x-rays after a fall – all in the same ER. In this case, the hospital itself is exposing a variety of already-sick patients to the chicken pox virus, which can be fatal in the very young or very old. Another approach to improving patient safety in the emergency room involves quarantining individuals who might have infectious conditions such as the flu, chicken pox, and others. Two departments that support the emergency room more than any other are the laboratory and radiology departments. While ER doctors can make a diagnosis based on the patient’s symptoms or complaints, it is up to these departments not only to confirm the physicians’ suspicions, but also to provide information about the best course of treatment. For instance, certain antibiotics treat certain types of infections, and different types of bone fractures require different treatments, too. Streamlining laboratory and radiology requests, and ensuring that there is enough staff on hand to handle the demand of the ER, go a long way toward improving the level of patient care and safety in any ER. Like any other type of company or industry, an emergency room relies on efficiency, productivity, and effective teamwork to provide the best possible care to the sick or hurt. Quick and accurate triage, the seclusion of patients with contagious conditions, and quick lab or radiology results can all go a long way toward improving patient health and safety in the emergency room.